COMMENT | When I was applying for jobs last year, I realised how easy it was for me to fake my credentials. I could have easily said I graduated from Harvard University, Stanford University or the University of Cambridge without ever having set foot in those institutions. There is only the odd chance of a prospective employer asking for my academic transcript, or taking the trouble of seeking confirmation from those universities. Most of the time, what I put into my CV is taken as true and valid information. But to have the audacity to fake my credentials, I would have to pass two tests: one, the personal test of my own integrity; and two, the practical test of assuming that the prospective employer is dumb enough to not check. And for some jobs, like the legal profession, faking your credentials could land you in jail. In any case, you would have to have immense audacity to assume that your prospective employer is fool enough to not discover your fraud. In the case of a minister, this prospective employer is the people. Although many ministers would likely defend their fraudulent colleagues by suggesting that it is the Prime Minister instead, I would beg to differ. The cabinet’s power and legitimacy flow from the people – any decision should originate from the people’s will, and ultimately be directed towards the benefit of the people. The government cannot use ‘the people’s will’ at its convenience, and retreat behind the veil of ‘Prime Minister’s prerogative’ when it’s harmful to them. And so, to fake your credentials to assume the executive position of a member of cabinet, you must have enough audacity to assume that the people are fools who will not discover your fraud. Which brings me to my main point about the recent fake degree fiasco – the minister’s attitude towards us. Of course, it raises questions about the competency for the job and the integrity of the minister in question, but nothing is more significant than the explanation of how these ministers view and treat the people. Politics is an elite sport. Politicians run the whole show on their own, and only go down to the ground when they need votes during elections. Most of the time, the people do not know what is going on behind the scenes. 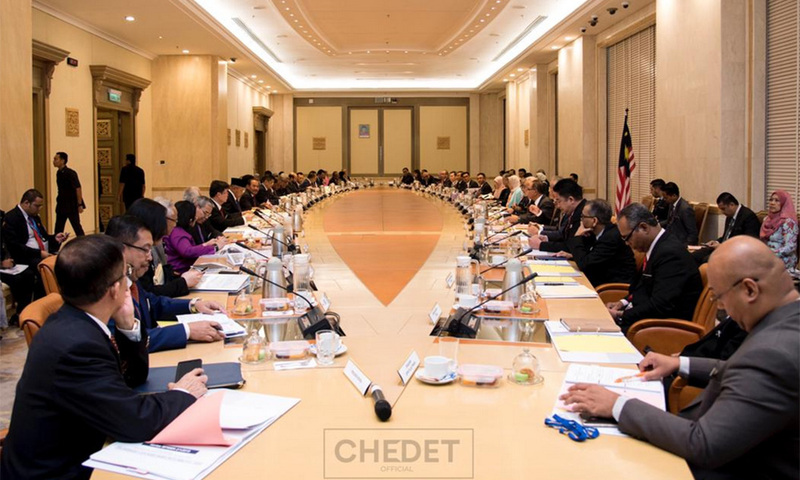 During the premiership of former Prime minister Najib Abdul Razak, the people were helpless when questions about the 1MDB heist were left unanswered for many months. There is nothing that could have done between elections but to hold a series of protests to no avail. The response of asking the electorate to use the ‘proper channels’ by writing letters to the government is futile, flimsy and useless. The irony is that the most important element in the democratic process – the people – are excluded from it most of the time. Granted, the complexity of government means that it would be impractical to seek the people’s opinion on every single issue. However, what the democratic process requires is that elected representatives act on the trust of the people. So the last thing we need is for ministers to lie to us about their credentials to earn the position to govern our lives. In the face of the recent exposés, the most common defence is that to be a good minister, there is no need for a university degree. I have two responses to this. First, a minister occupies the highest executive office of the land. Those involved in the fake degree saga thus far are either ministers, deputy ministers, menteris besar or state exco members. It is sensible for us to not only demand the highest level of competence but also the highest standard of ethics. Although it is widely accepted that a university degree doesn’t guarantee success in office, it remains a barometer of ability and credibility – which is why many jobs continue to use it as a prerequisite. It is only sensible then to expect the highest standard of ethics when occupying a role in government. This is because it is in our national interest to be represented and run by the best our society has to offer, so that we collectively become the best versions of ourselves. Second, the defence reeks of hypocrisy because the ministers involved in the fake degree saga do not believe in the defence themselves. If it is true that a degree is not necessary, then why would the ministers take the additional effort and risk to fake their credentials in the first place? They only do so because they believe that degrees have an impact on people’s perception of their abilities and credibility. Being commoners outside the system is frustrating. Most of the time our grouses are not heard, and it is hard to expect the ministers to always have our interests in mind. To now know that we had to find out for ourselves that our ministers have been lying to us – this is hard to bear. We must demand the government come clean on the matter because this fundamentally affects their relationship with us as a people. JAMES CHAI works at a law firm. His voyage in life is made less lonely with a family of deep love, friends of good humour and teachers of selfless giving. This affirms his conviction in the common good of people: the better angels of our nature. E-mail him at jameschai.mpuk@gmail.com. Posted in Character and Integrity, Democracy, Fake Degrees, Governance, Leadership, Malaysia, Malaysia's Fake News Law, Malaysiakini, Parti Pribumi Bersatu Malaysia, Politics, Public Accountability, Tun Dr. Mahathir Mohamad, Wisma Putra. Deputy Foreign Minister Marzuki Yahya -It’s not just about the degree. It’s not the gift but the thought behind it that counts. Similarly, in the recent brouhaha about the veracity of various ministers’ degrees, it is not so much the degree but how it was dished up to obfuscate others that matters. We can see four things in the discussion about the academic credentials of our government leaders. People are fed up with the lies perpetuated during the former UMNO-Barisan Nasional (BN) administration. 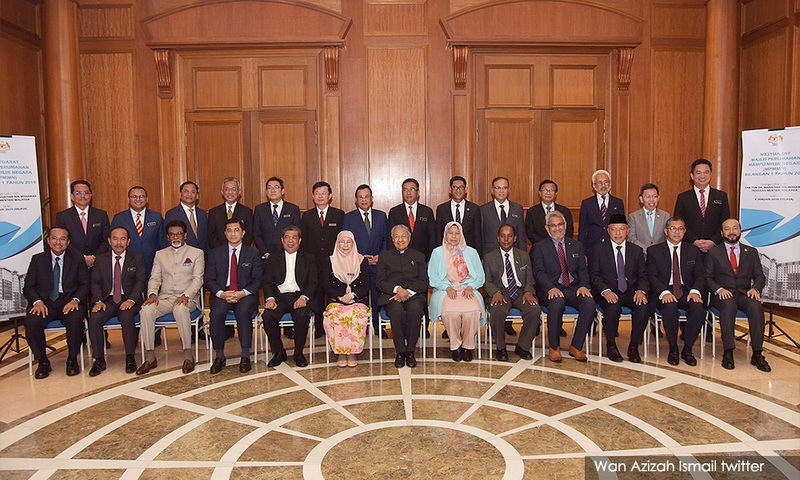 When they voted in the new Pakatan Harapan (PH) government, they did not want their lawmakers to be a carbon copy of the former UMNO-BN ministers. This wish may take a while to come true. It is disappointing to see PH politicians support their colleagues who mislead the nation about their academic qualifications instead of demanding their resignation. 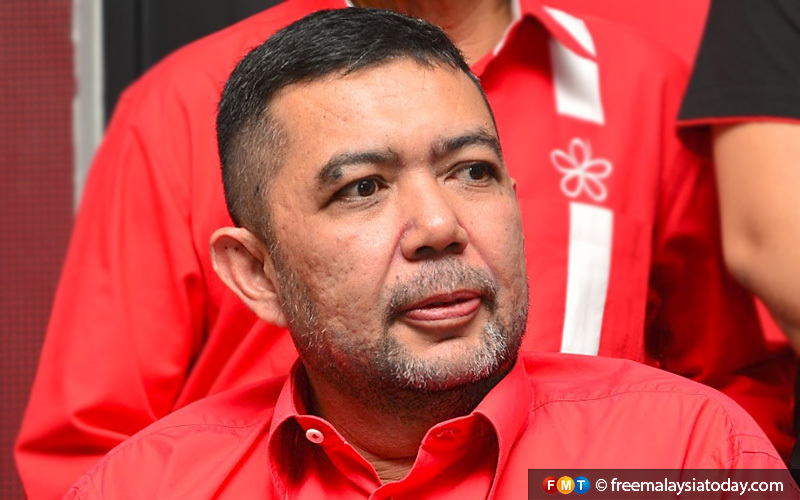 Instead of demanding truthfulness, honesty and integrity, it appears that PH politicians are falling into the same UMNO-BN trap of defending the indefensible. If you were promised a gold Rolex watch for 20 years of service to your company, would you be happy with a knock-off from Petaling Street? If you told your employers in your CV that you were from MIT and they later discovered that you graduated from Menglembu Institute Teknoloji instead of Massachusetts, you would be sacked. If you are about to be anesthetized for major dental work, wouldn’t you want someone who is qualified to do it instead of someone who picked up their skills from YouTube and then paid for a dud certificate in dentistry from an internet degree mill? Politicians should learn to tell the truth in Malaysia Baru. The people are not stupid. Deputy Foreign Minister Marzuki Yahya may not have said that he graduated from the University of Cambridge, England, instead of an unknown institution in the US. Was it laziness on his part, or did he bank on Malaysians seeing the word “Cambridge” in “Cambridge International University” and jumping to their own conclusions? He must be aware that a paper qualification from a degree mill is inferior to that gained from a reputable institution. Fake degrees do not require a period of intense study. So what was his intention in this issue? When people lie about their degrees, they belittle those who worked hard for theirs. A degree, among other things, shows that you have devoted three or four years of your life to a particular subject. It shows you had the discipline to complete your studies, get out of bed to attend lectures, complete assignments on time and fulfil both course requirements and practical work. 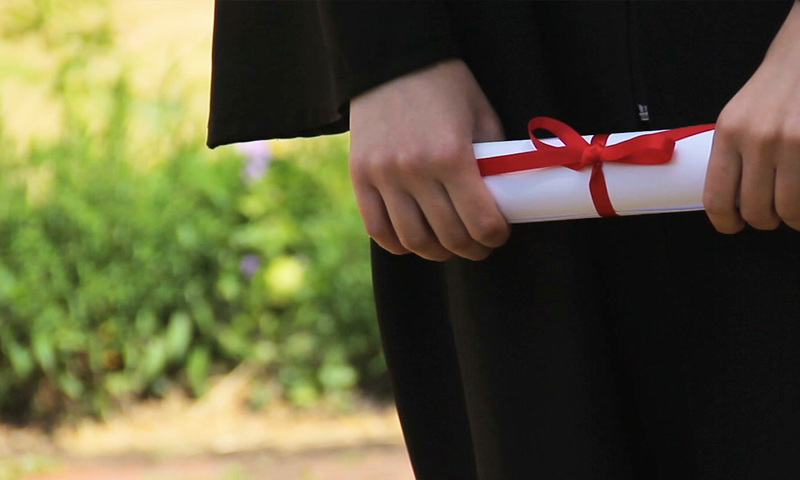 For many people, a degree is more than just a piece of paper. It is a life-changing experience, their ticket to lifting themselves and their families out of poverty. Their parents may have pawned their mother’s and grandmother’s jewellery to pay for their education, or their father may have remortgaged the house. I know of one family which lived on rice and gravy for three years. If people lie about their degree, what else could they be hiding? Their degree is probably just a small thing in their life. When they enter public office, what sort of big issues would they be prepared to cover up? It’s not so much the misrepresentation of the degree; it is rather the attempts to mask its quality, i.e. academic content and which university issued it which are unacceptable. A person who wishes to serve the public and to be a public figure must be accountable and possess integrity. Those who lie have none. 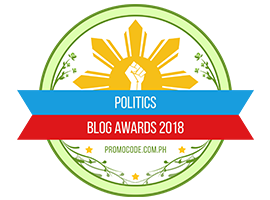 They may claim that they are hardworking people even though they do not have proper qualifications, but would they have gotten their positions if they had not made such false representations? Other, more qualified and more capable, persons could have assumed their role instead. So those who misrepresent their degrees do the public a grave disservice. In the end, it is the people’s loss as they do not have a person with integrity to lead them. Think of Winston Churchill, George Washington, Abraham Lincoln, Richard Branson and Steve Jobs. They did not have degrees but they did not lie about having one, either. They led their nations and companies through their actions. The problem in Malaysia is that we are seduced by power and position and, it appears, degrees from prestigious universities. Politicians know it, and that is how they pull the wool over our eyes. Posted in Character and Integrity, Education, Fake Degrees, FreeMalaysiaToday, Good Governance, Leadership, Malaysia, Pakatan Harapan, Politics, Tun Dr Mahathir Mohamad. COMMENT | We’ve read enough of the same old story of politicians and their alleged fake diplomas. And so too of fake promises and fake parties. We are still waiting for the ruling party to make things ‘un-fake’ and weed out leaders who cannot even present the truth of their own academic accomplishments. Yet, there are apologists among party members who seem to miss the point entirely, perhaps because power and sitting in the comfort of their own evolving fakeness makes them rationalise the act of dishonesty. Isn’t this why we have cases of corruption with fake ‘datuk’ issuing fake contracts and living fake lives, whilst people suffer through policies designed out of fake intentions? How do we ‘un-fake’ society in this age of viral post-truth? Academic honesty goes a long way. It starts with helping students speak and write the truth and shun plagiarism. But what do we have in Malaysia? Fake degrees, fake datukships, fake news, fake leaders, and fake election promises. We punish students for plagiarism. Why be apologetic for those with fake diplomas, or who buy their theses and dissertations? Companies hire people based on their CVs to maintain their integrity. Why not demand that politicians do the same (especially since the government is a business these days). Accountability should be a basic requirement of an elected representative because it affects people and policies. We seem to have a mismatched cabinet. Shouldn’t a foreign minister, for example, have a degree in international studies? And an education minister an advanced degree in education? Appoint as leaders those with accredited degrees, to avoid complication in credibility. Unless you find the next Bill Gates or Mark Zuckerberg. These days, barely a year after regime change, I ask: do we have faith in the current government to make the changes they promised? It is too messed up, directionless. There is fighting amongst party and coalition members. Sixty percent of Malays are said to have lost faith in the government, because of the filth produced by race- and religious-based leaders. Promises remain unfulfilled. In the case of fake degrees, one must know that accreditation is key to setting the standard of excellence and integrity in any university. It is a long process. Any American university offering a Bachelor’s degree with customisable 45-credit requirements online is most likely a scam. And then there is the case of fake Islamic parties. Will “PAS kantoi (You’ve been found out, PAS)” be the next election slogan? All religions produce leaders who love bling, fast cars and ‘gangsta’ trappings. Gullible followers – souls for sale – seeking salvation through these religio-capitalists keep getting conned, big time. I’d say this: If you must have a religion to soothe your soul, have one that’s given for free, not one that promises to pray for you for a fee to make some chieftains wealthy. Next time you’re asked to donate for religion, ask if it’s for a mullah’s court case or cars with diamond bling. The same goes for preachers of megachurches who must have private jets to do God’s work in style. As for politics, I’d say that foremost as a politician is to be honest and deliver, not be close to power and wealth and make others suffer. At the very least, have a real college degree, if that is important to you to add glitz to your dignity. When power is already won and consolidated, election promises will not be honoured happily, as they are made as lip service, and a game of this and that, yes and no, and maybe. Promises are bait, manifestos launching pads for power; the oppressive ways of the old regime will be wheeled out again, only masked. The ‘Malay-Muslim’ narrative constructed and nourished by political parties since the ultranationalist agenda took root is collapsing. It can no longer – by virtue of it being a fragile ideology of post-colonial idiocy – be used to hold the ‘Malay-Muslims’ together for long. The inbuilt contradictions have imploded, spewing out the pus of hypocrisy, corruption, and lies with the post-1MDB revelations about PAS. Malays, thinking ones especially, are tired of this game of cards, in which the players shuffle packs of lies. That is what they do to draw out the queen of diamonds and the king of spades to annihilate each other, while the people continue to swallow broken promises, choking themselves to a slow death – as if trapped in the surrealism of Dali’s Metamorphosis of Narcissus. We cry the slogan of ‘multicultural Malaysia’, but we have a fake educational philosophy that cannot handle the truth about the nature of society. The noble goal of multiculturalism in a plural-liberal society requires the commitment of the Education Ministry to make sure teaching, learning, tools, techniques, teachers, and the body of knowledge to be in a state of diversity. We cannot wait. Must each generation be consigned to reproduce hate? Or fakeness in our race relations? But the ministry continues to promote and finance the concept and ideology of ‘divide and rule’, channelling millions into enhancing ‘successful failures’, instead of revamping the system and levelling the playing field of culture and class. Money is used to entrench the institutionalised system of apartheid so that race and religious divisions can continue to be reproduced. What is missing is the paradigm of change that is supposed to move us towards a true multicultural society. The government has never been serious about building a nation on peace; it only enhances the foundations of structural violence. We have to plow deeper into this phenomenon of educational philosophising if indeed we are to redistribute justice and allow peace and security to evolve. Where do we go from here? How do we hope and act as a critical mass of people hungry for an honest government to serve us, and ensure that fakeness is not a national policy? Do we not hear the apologists say that having fake degrees is not as bad as violent crimes, and that it’s only about papers and qualifications? If we do not have honest leaders making national decision affecting millions, how do we expect corruption not to take root? To educate future generations of the importance of ethics and intellectual sustainability? Before we become a failed state, we must not become a fake society ruled by a regime producing fake promises in a fake economic system of misguided priorities. Dr.AZLY RAHMAN is an educator, academic, international columnist, and author of seven books available here. 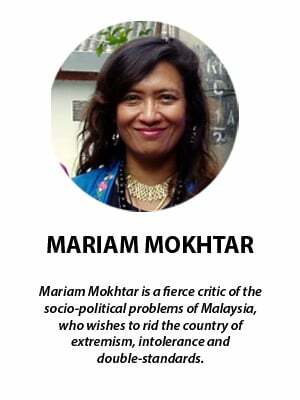 He grew up in Johor Bahru and holds a doctorate in international education development and Master’s degrees in six areas: education, international affairs, peace studies communication, fiction and non-fiction writing. He is a member of the Kappa Delta Pi International Honor Society in Education. Twitter @azlyrahman. More writings here. Posted in Character and Integrity, Fake Degrees, Uncategorized.